While CAFM and CMMS software are traditionally popular options, many facility managers now find that they need both a CAFM and a CMMS. The demands of facilities management have changed, and FM teams need software that can handle a multitude of diverse tasks. Each solution above comes with its own functionalities, features and areas of focus, but which one best suits your needs? Read on to cut through the jargon and learn more about the various facilities management solutions available to you. By name alone, CAFM software sounds like it could perform any number of facilities management tasks, and a quick glance online reveals a similarly broad number of definitions. A CAFM solution generally does a lot, but its focus is on the people and resources side of the management equation. In other words, it’s predominantly administrative, with the core focus on tracking and managing data, rather than streamlining actual activities. Depending on the CAFM solution you opt for, you could also end up with a piece of software that is quite complex. It often pulls info from multiple sources, so if you master the complexity, it can allow you to gain access to loads of data. However, it doesn’t necessarily integrate different datasets to provide a holistic view of FM-related activities, so you could end up with a user experience that is quite siloed. CAFM solutions also tend to require customization before they dial into the end user’s needs, and if you don’t know up front exactly what you need the system to manage, your CAFM is unlikely to meet its full potential. CAFM’s space- and asset-management strengths make it a common tool for facilities management, but in many cases, pure CAFM software lacks the user-friendly, integrated and proactive approach that other modern solutions now offer. The key to understanding the focus of this software is in the title: a CMMS largely keeps track of maintenance tasks and data. If you have software that shows you how long it’s been since equipment has been maintained, you are likely using a CMMS. This breed of software is critical for organizations with heavy equipment usage and those that own their own buildings; when you’re paying a mortgage instead of a lease, for instance, it falls to you to keep track of your HVAC system’s maintenance and upkeep. That said, a CMMS typically lacks the versatility that most FM teams need. For facilities management professionals who are also involved in space optimization, office moves and even desk booking, a computerized maintenance management system doesn’t offer much in the way of help. Ultimately, a CMMS is a specialized piece of software aimed at unique maintenance needs. EAM systems are designed to track and manage a variety of company assets. While a CMMS is typically used to track large pieces of mechanical equipment, EAM systems are used to manage office assets like computers and furniture. Where a CMMS also monitors assets while they’re active—and when they need to undergo routine maintenance—an EAM solution tracks resources from procurement through to disposal. A facilities management department may use EAM software to see where certain assets are prior to a move, while accounting (or a similar department) may use it to get a feel for various purchasing and upkeep expenditures. That said, there is also some overlap between EAM and CAFM software, since CAFM solutions also help with asset management. Overall, the value of pure EAM software is questionable for all but the most specific use cases, since many modern software solutions are able to offer similar functionality as one component of a more comprehensive offering. This brings us rather neatly to the integrated workplace management system. An IWMS can be described as a combination of all the systems above, plus a whole lot more. Apart from the unique focus of a CMMS, a competent IWMS like OfficeSpace will include many of the features mentioned thus far, plus a host of other abilities that make it much easier to manage the office environment. For instance, a good IWMS like OfficeSpace can help employees find whatever resources they need—from printer drivers to open seating. With Mobile Visual Directory, employees can use their phones to find fellow employees and resources like copiers, while a mobile-friendly Request Manager allows them to quickly submit work orders—and even attach images that highlight the relevant issue. 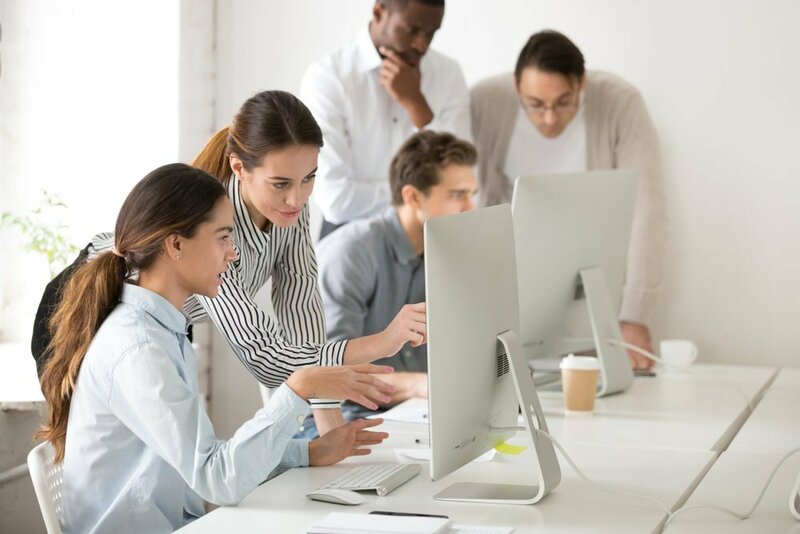 For FM teams, an IWMS like OfficeSpace makes life easier by streamlining work orders and offering much greater visibility over the needs of the office. It also provides the space management tools needed to maintain control of the office and make better use of available space—OfficeSpace’s Space Management allows FMs to visualize occupancy and space utilization on real-time floor-plan views and leverage the power of scenarios to make the most of available space. Similarly, both large- and small-scale moves can be made much less daunting with a comprehensive Move Manager that offers drag-and-drop move scheduling, automated email and chat notifications, real-time reporting and scenario planning for optimal seating allocation and space utilization. A crucial feature of any modern IWMS is the ability to provide data and analytics that take the guesswork out of facilities management. OfficeSpace lets facility managers view information in different formats, making it easier to build plans and make better decisions. Usage data, for instance, can be viewed in a report or on a floor plan, while space utilization reports can help determine exactly which parts of an office are not being used to their full potential. By not only collecting data, but making it easy to understand as well, OfficeSpace offers the kind of actionable insights that are crucial to keeping a modern office running efficiently. With all of these features, it would be understandable if IWMS products developed a reputation for being too complex and expensive for the average company’s needs. At one point, that might’ve been true. But OfficeSpace Software has modernized the clunky interface and hefty IT requirements of the IWMS of old, creating a solution that is not only simple to implement and understand, but also useful for office rosters of just about any size. A modern IWMS like OfficeSpace is more than a tool or an app—it’s a cloud-based platform that integrates with other crucial workplace applications and allows FM teams to collaborate closely with HR, IT and other teams. 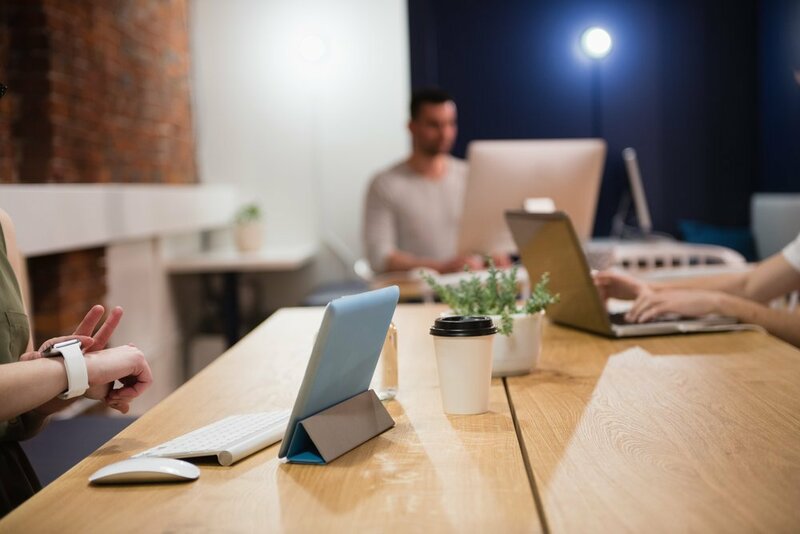 OfficeSpace not only integrates with apps like Slack, Skype for Business and Visual Lease, and directories like Namely, Workday and Active Directory—it can even integrate with new workplace technologies like sensors. 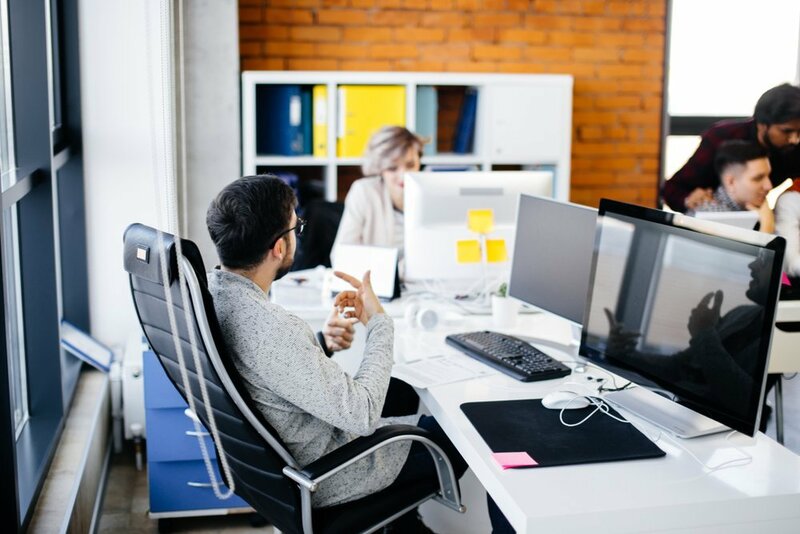 Where a solution like a CMMS is incredibly focused, an IWMS like OfficeSpace has the sort of features that extend its usefulness far beyond the facilities management team. Just consider, for instance, how Visual Directory and integration with popular directories can simplify employee onboarding—or how a desk booking feature can facilitate a completely new seating strategy. When it comes to juggling the countless demands of a modern office environment, an IWMS offers the most comprehensive and user-friendly solution. Ready to learn what a modern IWMS can do? Read our checklist to find out if OfficeSpace is right for your organization, or simply request a demo from our team.